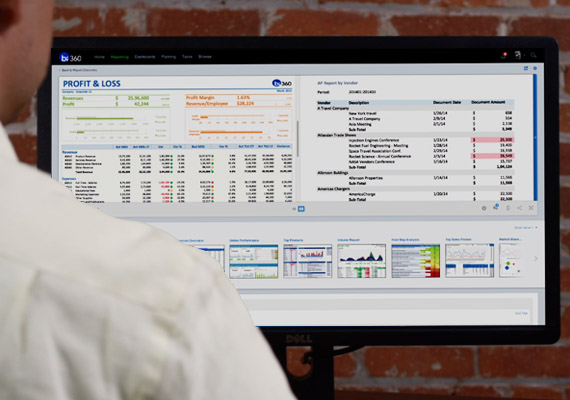 How Does Business Intelligence for Dynamics GP Benefit My Department? This article will focus on the benefits of Business Intelligence (BI) for the sales, marketing, human resources, and information technology departments using Dynamics GP. Each department has an important role in a company. As a department leader, you may know what your team needs to achieve department-specific goals. BI solutions that cover budgeting, forecasting, reporting, and analyses can help you meet those goals in an efficient and quicker way. For example, at my own company, the current team of department heads includes Nils Rasmussen for Sales, Gina Louie for Human Resources, IT Manager Allan Bacero, and Marketing Director Vanessa Sierra. I will cover four general departments that you would typically find in an organization and explore how a BI tool would help each department. In this article, we will explore the perspectives of some key leaders in regard to BI software that reports on, plans with, showcases, or manages Microsoft Dynamics GP data. Oftentimes, the executive team tasks an employee, usually in the finance and/or IT department(s), with finding financial reporting, budgeting, dashboards, or data management solutions for the organization. You might clearly understand what your team needs to achieve department-specific goals, especially with the muscle memory of processes as they heretofore have gone. But you might not exactly understand what is important to your team of decision makers, whether that is strictly the executive team or a larger group of stakeholders. In this article, we will explore the perspectives of some key leaders in regard to BI software that reports on, plans with, showcases, or manages Microsoft Dynamics GP data.